WELCOME TO WALTHAMSTOW STADIUM (now closed) the home of Greyhound racing. Do I have to book entry tickets in advance? There is no need to book up for entry only to the stadium. Do I need to make an advance booking to dine in the restaurants? It is always advisable to book in advance, especially for a Saturday evening as we can be booked up 3-4 weeks in advance. We can occasionally have space available on Tuesday and Thursday evenings, but this can not be guaranteed, so we would always recommend booking up in advance to avoid any disappointment. How do I make a restaurant reservation? Please our catering department (Mon-Fri: 9.30am - 3.30pm). What is the difference between the Main Enclosure & Popular Enclosure? 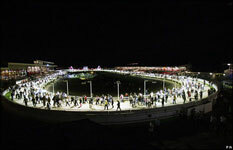 The Main Enclosure contains all the restaurants, corporate gifts and boxes and main bars. It also gives you the best views of the finish line and also the best crowd atmosphere. The Popular Enclosure contains a bar and fast food point, it also offers good views of the racing and it also has a very reasonable admission price. Can I buy a Track Pack or Six Pack offer on the night? No, all our special offers must be pre-booked and pre-paid for in advance. How much notice do you require when sponsoring a race? We normally require a weeks notice and availability will also depend on what events we have already booked up. We are open for evening racing every Tuesday, Gatwick airport parking Thursday and Saturday from 6.30pm. We are also open Monday & Friday for a lunchtime/afternoon meeting. Please click here for further information. Retired Greyhounds | Whittingham Kennels | "RACE COURSE OF THE MILLENNIUM"
Do you race in all weather conditions? The track is underground heated so we can race under all weather conditions. 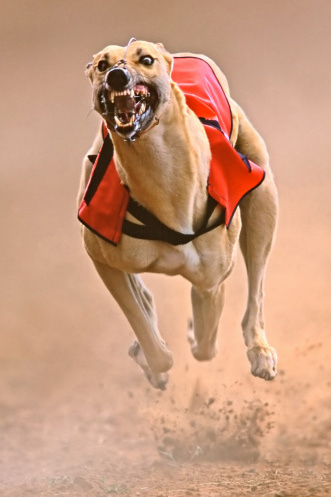 Foggy weather is the only time when racing can get cancelled; this is because the dogs can not see the hare. Can I use a video or digital camera at the stadium? Do you have parking spaces available for coaches? Yes, we have plenty of parking spaces available. Are children welcome to the stadium? Children are more than welcome to the stadium when accompanied by a responsible adult. Children under 15 are entitled to FREE entry. We have a play area where children under an adult's supervision can play. Can anyone bet at the stadium? You must be 18 years or older to place a bet at the stadium. If you are interested in greyhounds then maybe you would like to adopt one?